Do you want to develop skills and work in cybersecurity? Are you interested in career opportunities with innovative startups and companies? Are you a university undergraduate, recent graduate, TAFE, masters or PhD student? Are you studying computer science, data analytics, software engineering, maths, science, business, marketing, communications law, design, psychology or security studies? Regardless of discipline, if you have a strong interest in cybersecurity, you're welcome to register for this event. Free interview skills and pitch coaching sessions will also be conducted for student by the wonderful team at Shearwater. They will also looking for Engineering - Software, Computer Science, IT, Security Studies students on the night. The Deloitte Cyber Risk Services team recruit students for their Cyber practice each year. The work is varied, cross industries and includes Cyber Response, Cyber Intelligence Centre, Strategy and Governance, Identity Access Management and Penn-testing. SAS has a long history of supporting Academia and of helping our customers meet their needs for talented people across Australia and New Zealand. One key way in which we do this is through the SAS Work Placement Program, a part of SAS’s Academic Outreach Initiative. The SAS Work Placement Program helps match STEM university students with SAS skills to SAS customers We are looking for students with skills in IT. As a recent or soon-to-be graduate, you may know exactly where you want your career to go, or you might still be exploring the possibilities. Choosing to work for the largest employer in Australia - provides you with endless opportunity to pursue your career. Optus We are looking for students with a variety of skills. Do you need students or graduate talent to help address your cybersecurity needs? 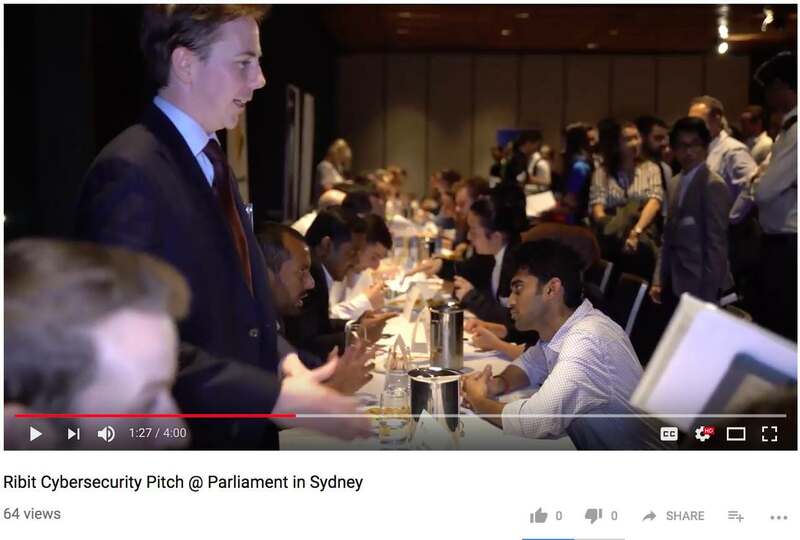 About AustCyber: The Australian Cyber Security Growth Network (ACSGN) is the industry-led and not-for-profit company responsible for delivering the activities of the Cyber Security Growth Centre initiative. The global cyber security market is currently worth more than $100 billion and is expected to more than double by 2020. The ACSGN will ensure that Australia is a global industry leader, able to export products and services in the global marketplace while helping Australian businesses and governments to address the growing threat of cyber-crime. About Ribit: Ribit is an online platform that connects students with digital, STEM, research and business skills to innovative companies and startups that need these skills. In Australia, there are more than 1 million tertiary students that potentially have these skills. At Ribit, we’ve set out to make this early career pool more visible and accessible through an intuitive digital solution underpinned by a data algorithm. About SSE: Sydney School of Entrepreneurship (SSE) is an unprecedented new partnership between all 11 NSW universities and TAFE NSW. SSE is about creating a diverse community of next generation Australian entrepreneurs, generating jobs and businesses of the future. SSE brings together students across disciplines, sectors, locations and backgrounds and provides access to practical training, support and mentoring for students.